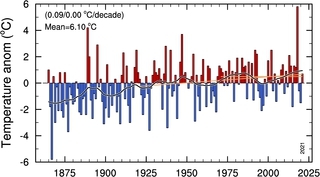 gives the associated 100 year and 50 year linear slopes in degrees Centigrade per decade. 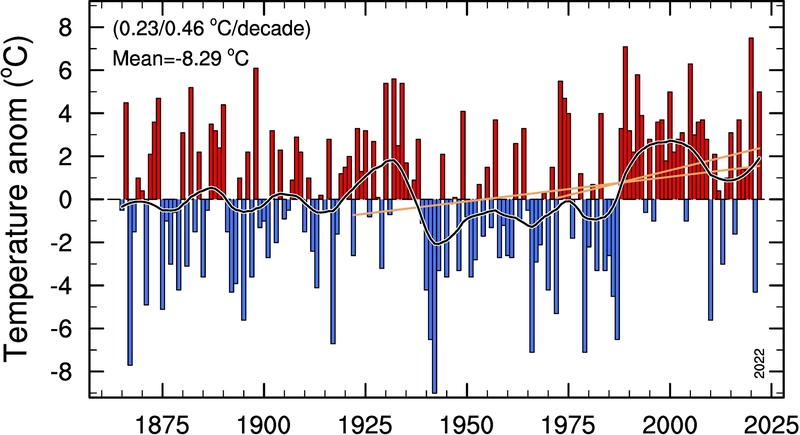 gives the mean temperature for the period 1901-2000 (the zero-line in the figure). 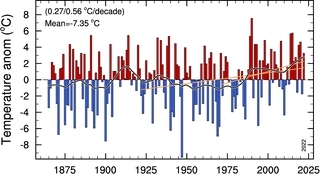 Last data point is given in the lower right corner of the figure. 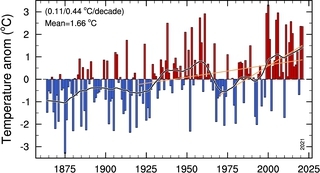 Data from eKlima of the Norwegian Meteorological Instutute. 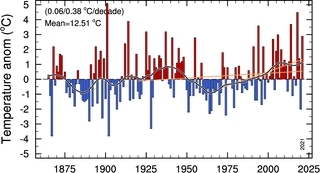 Note: Errors may occur since all figures are automatically updated with only sporadic checking. 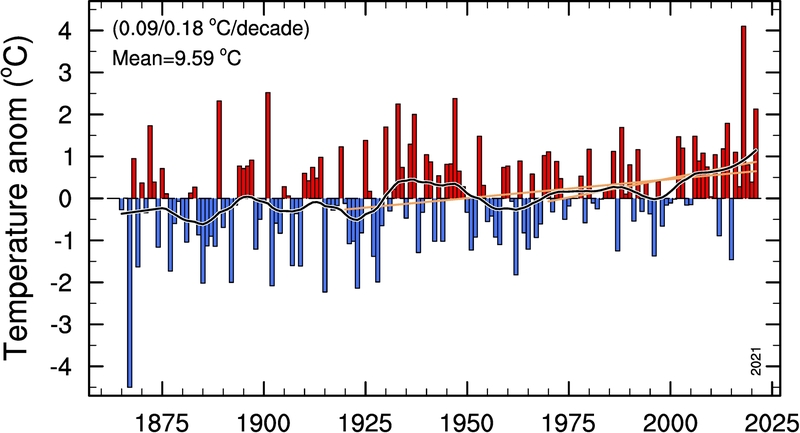 Return to Temperature overview. 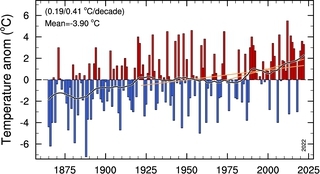 Return to top of page. 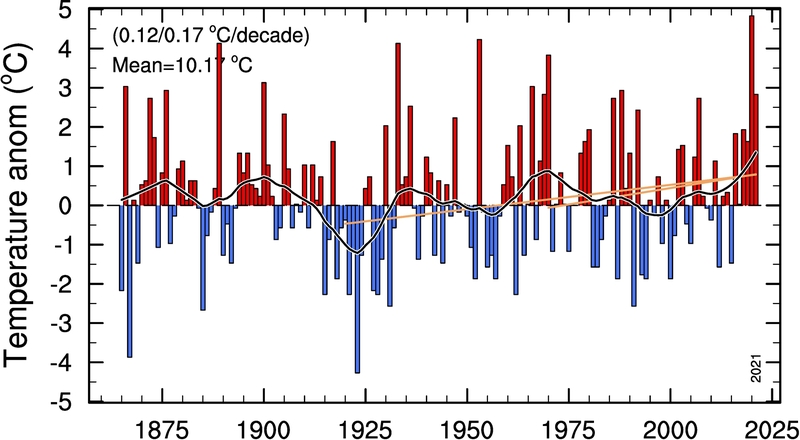 As above, but including the mean of all months of the current year. 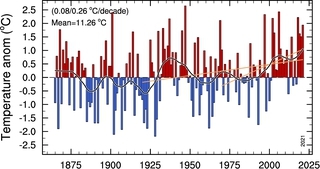 Latest month included is indicated in the lower right corner of the figure. 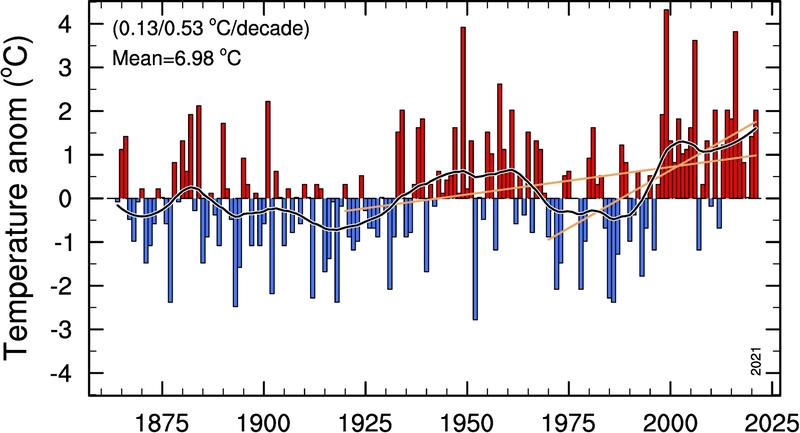 As above, but for the five summer months May to September. 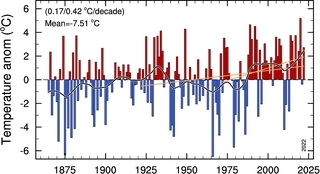 Last summer is denoted in the lower right corner of the figure. 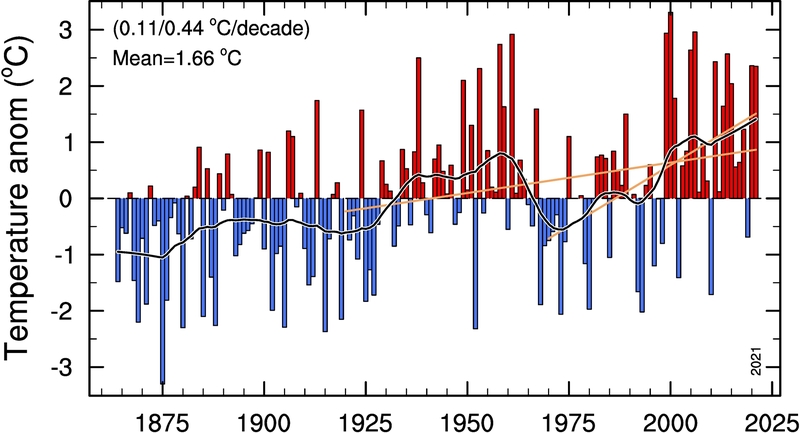 As above, but for the three months May to July. 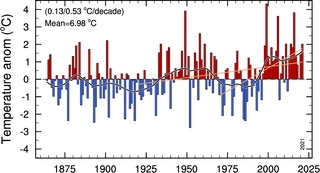 Last summer is denoted in the lower right corner of the figure. 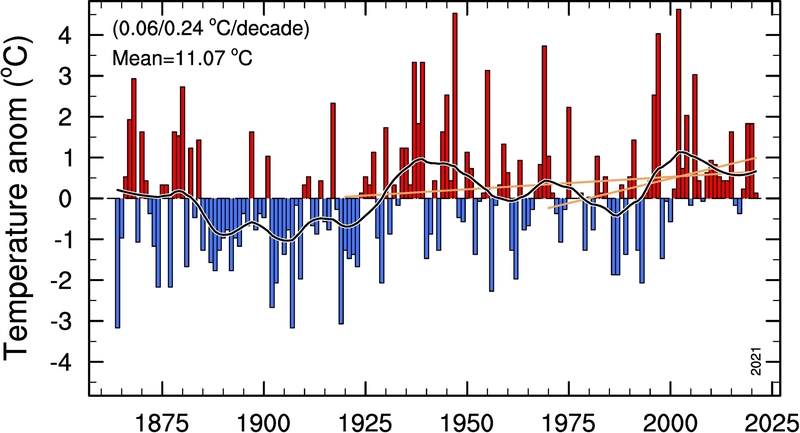 As above, but for the five winter months November to March. 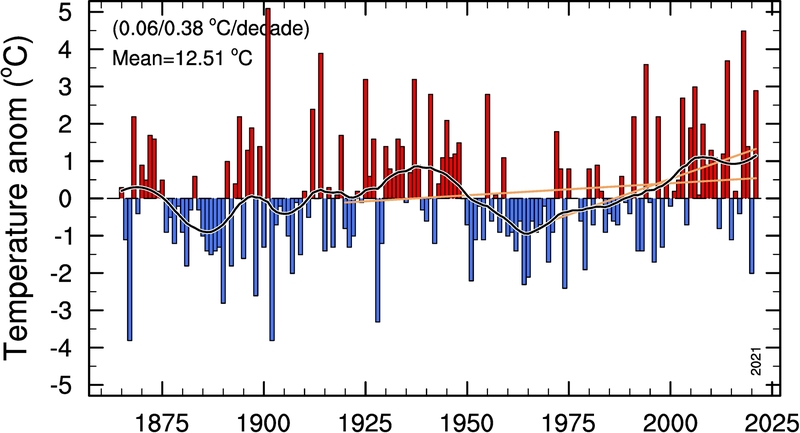 The year is given for the latter part of the winter, i.e., for January-March. 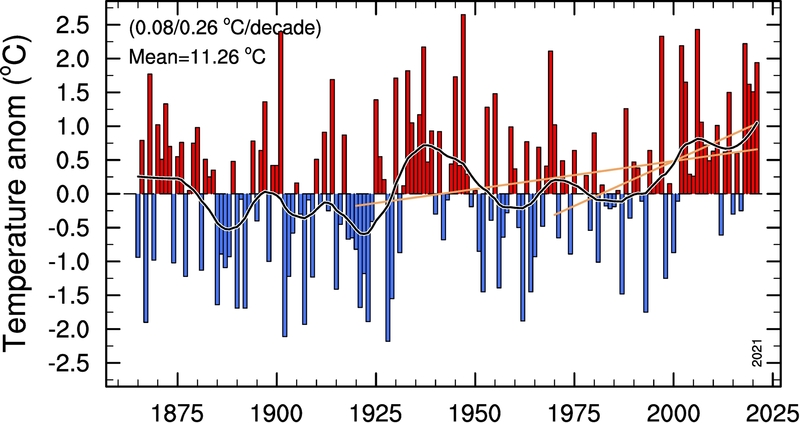 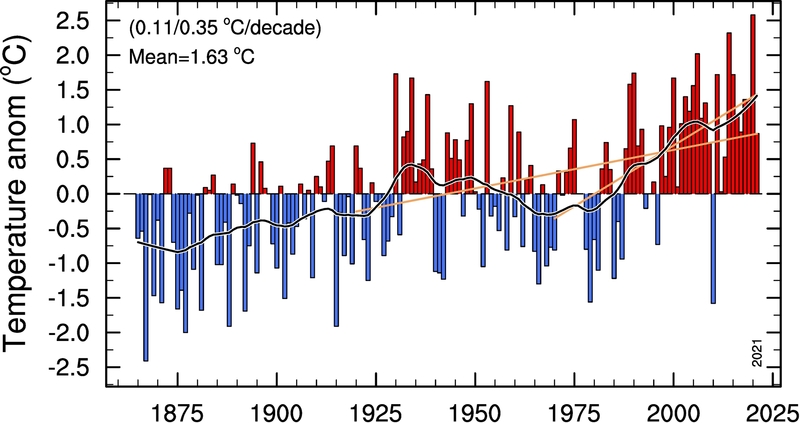 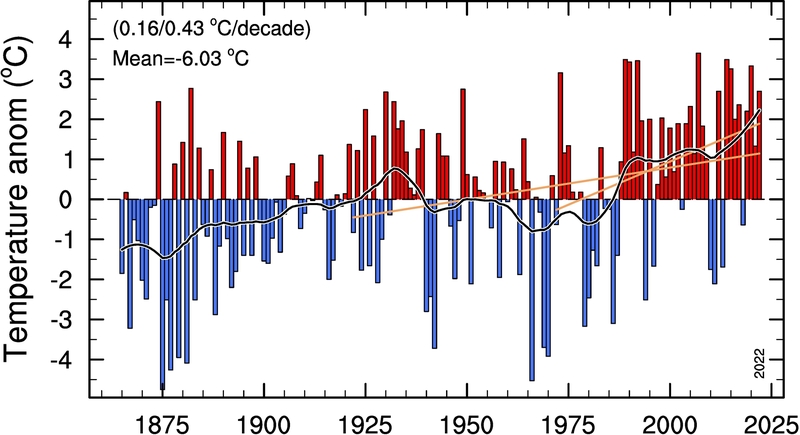 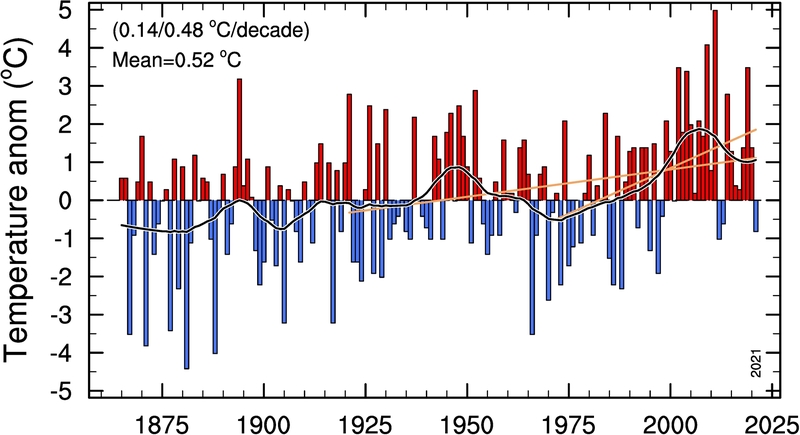 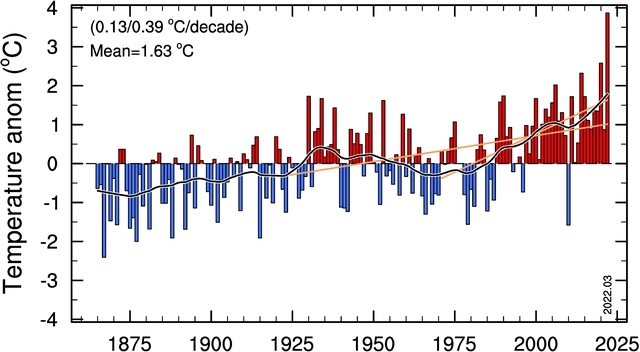 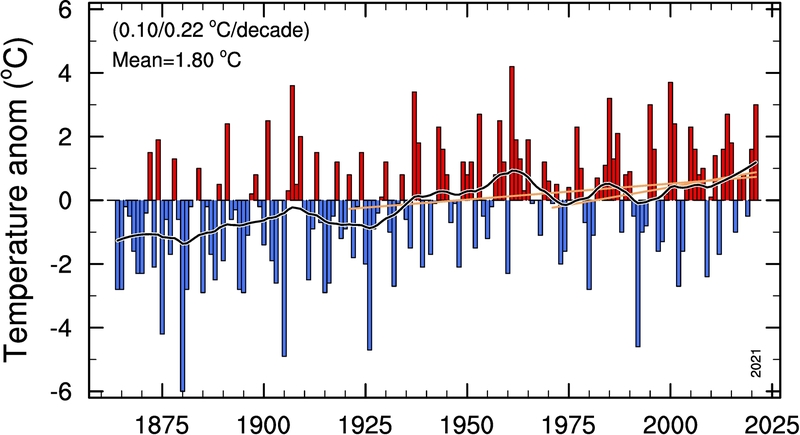 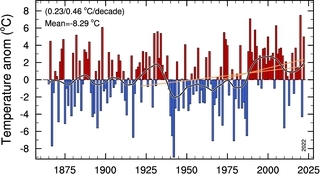 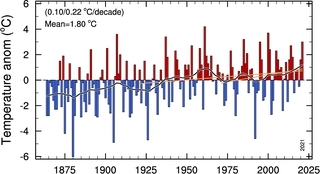 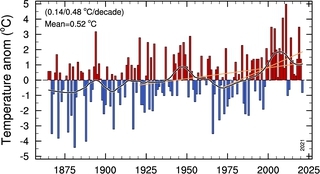 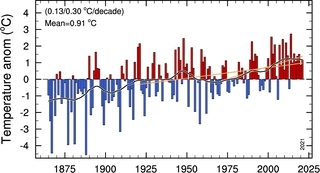 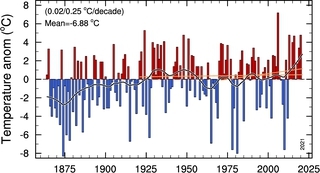 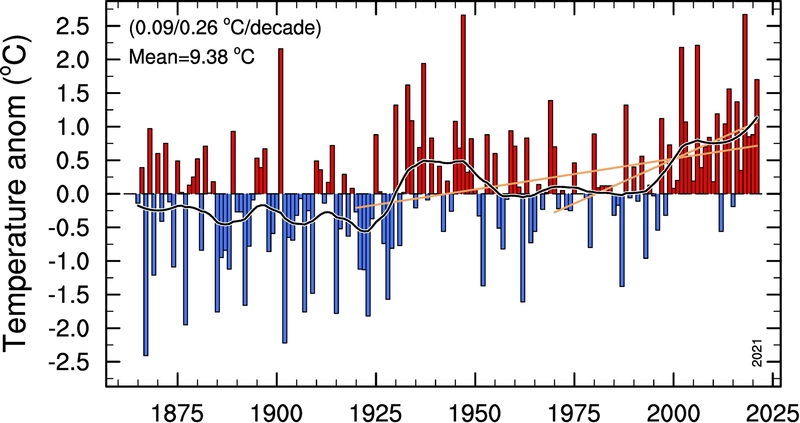 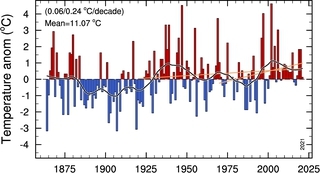 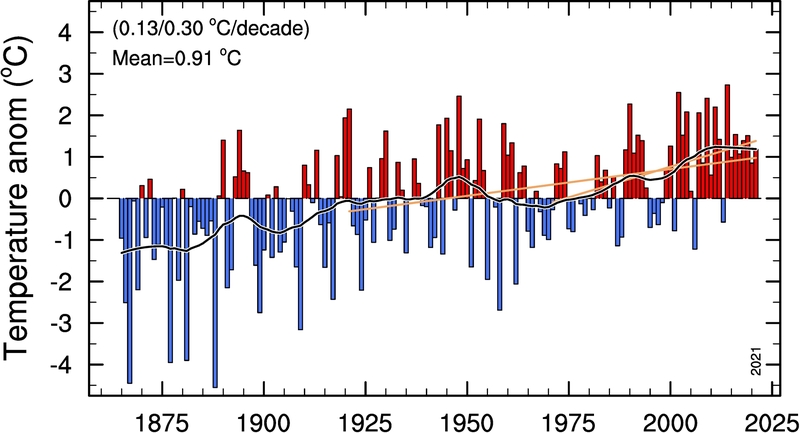 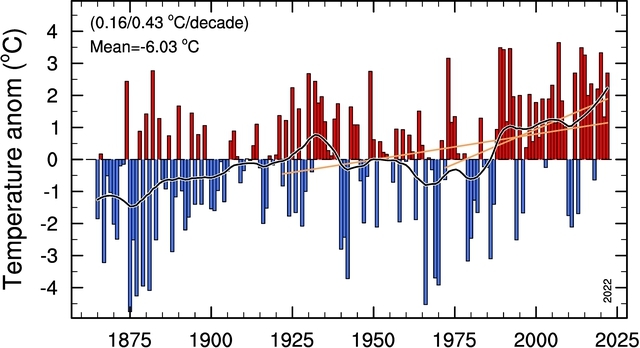 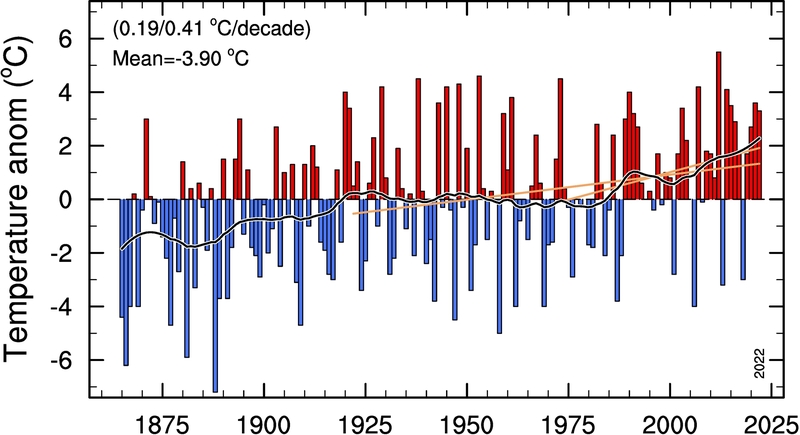 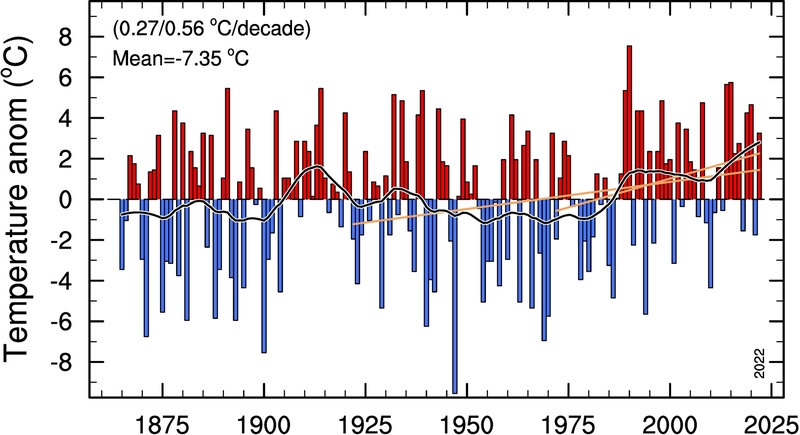 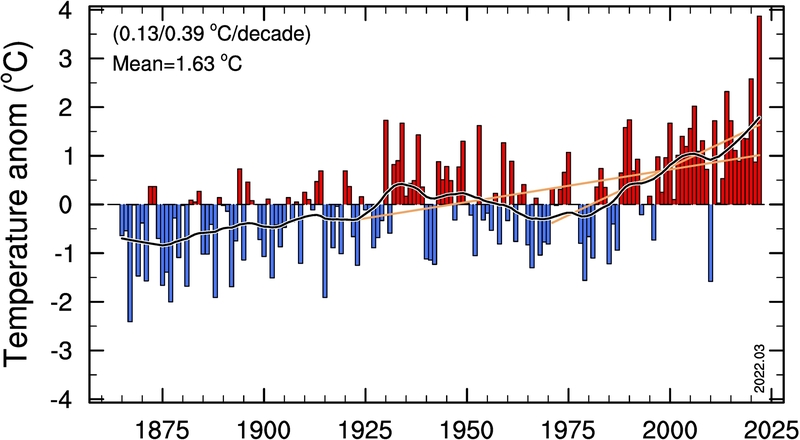 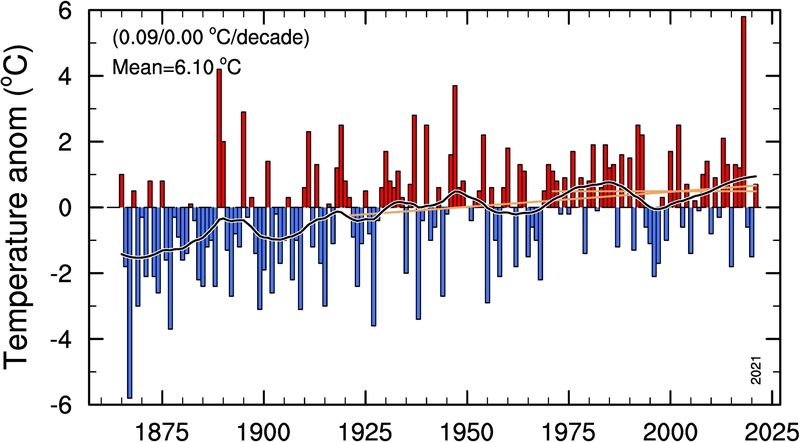 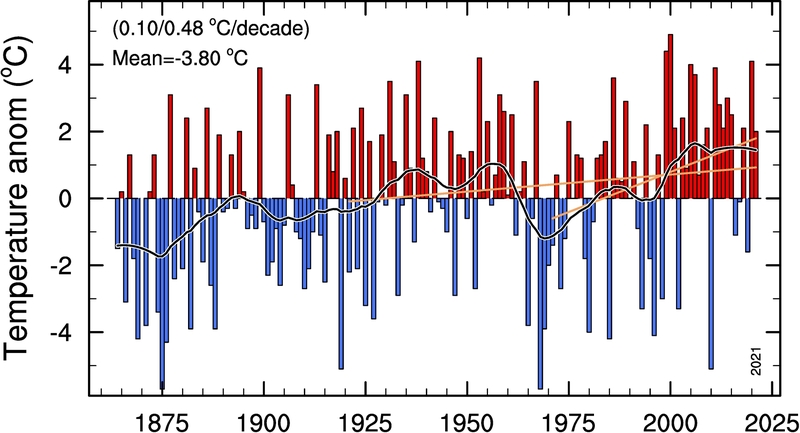 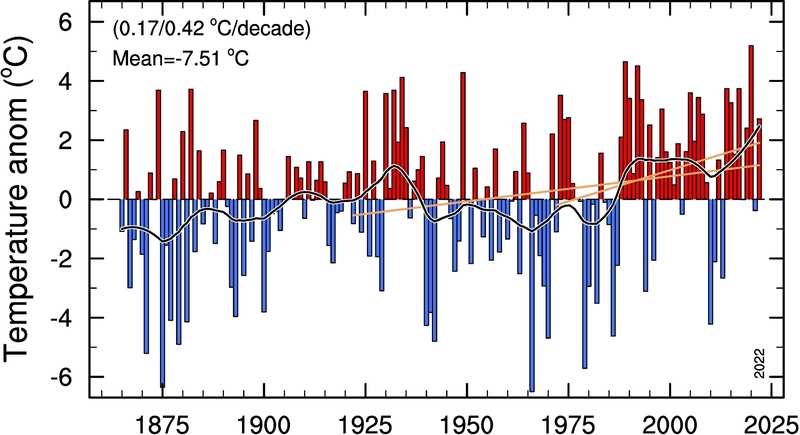 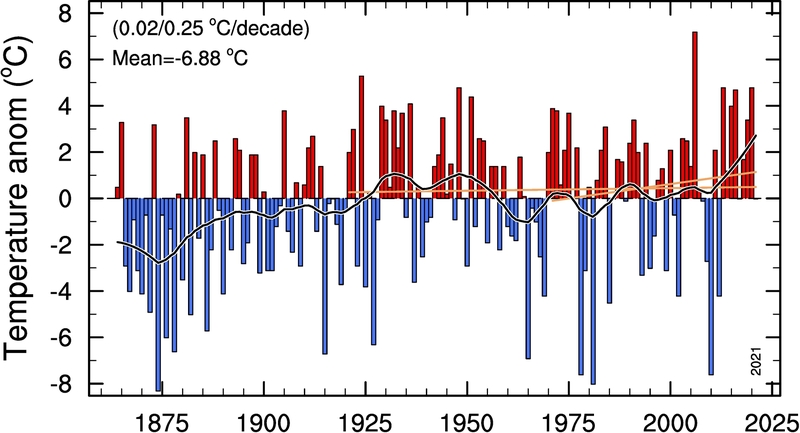 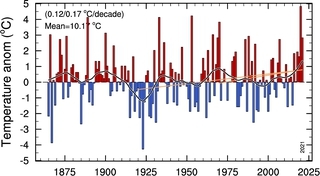 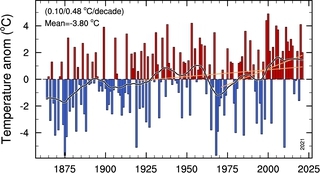 gives the mean temperature for the period 1901-2000 (the zero-line in the figures). Last data point in the lower right corner of the figures.